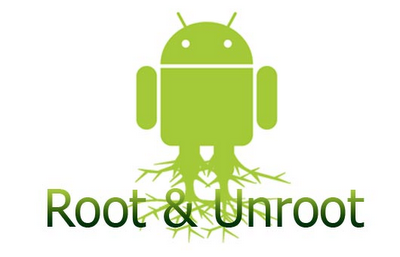 So lets first understand what the term Rooting stands for when it is related to android devices and why should root or not root your android device ? But before proceeding rooting your phone will lead to void manufacturer’s warranty of your phone and may "brick" your phone. So now what is bricking? Bricking your device means that the software of your phone have an error and your phone can no longer function properly and it become almost useless like brick, simply saying you damaged the software of your device. So i can not recommend any one to root their devices. Now it's up to you whether to root or not because every thing has its own advantage and disadvantage. What does rooting stand for and where it comes from? Rooting an android device means achieving superuser rights, so you can modify your android device software. By rooting your device you gain ability to install custom firmware (ROM's), plugins, increase battery life, and ability to install software that require super user rights.In simple terms Administrator rights. The term Rooting is equivalent to jail-breaking if it comes to iPhone. In Unix/Linux the term root is used to describe a user who has all the rights or permission to change or modify all the files and programs or any software code of that particular device Operating system. This is called "superuser". but when you purchase a new phone your phone is locked by manufacturer and it is provided only with limited rights means guest privilege. It is right because every one using the phone is not an expert and he/she may damage his/her phone if unknowingly made some changes where it is not required and damage it beyond repair. On the other it helps manufacturer to support their device and provide update. But for a tech expert only having guest privilege is not sufficient because lots of useful features are locked.